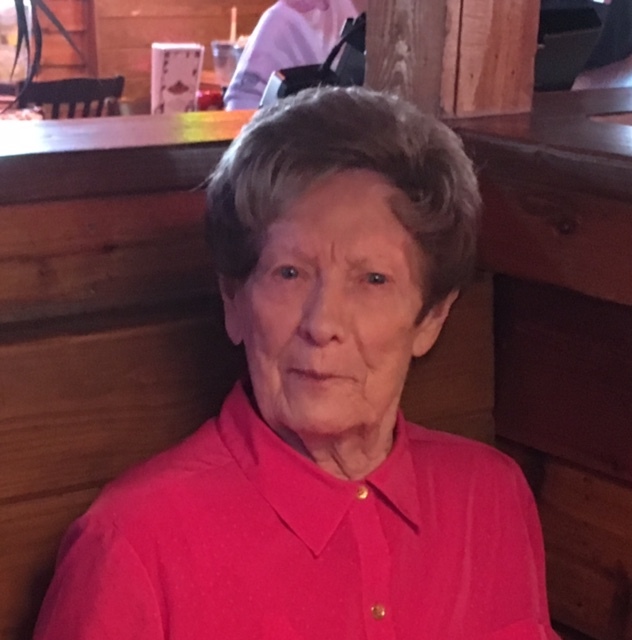 Belva May Grow, our loving mother, grandmother, great-grandmother, and sister passed away peacefully on January 21, 2019, at the age of 97. Belva was born October 23, 1921, in Ogden, Utah to Roy Clinton Grow and May Elizabeth Wilton. She had fond memories of her childhood on Twelfth street where she enjoyed riding her bike, acting in plays and playing dress up with her sisters. Belva was a student in the first graduation class of Ogden High. After high school she attended Stevens Henagar College, studying Secretarial Science. She was then hired by Arden Dairy on Washington Blvd. because of her exceptional secretarial skills. Belva retired from civil service after 14 years in the Engineering Division at Hill Air Force Base. On October 17, 1942, she married Lieutenant Roy Vaness Stephens in Santa Ana, California and was sealed in the Salt Lake Temple August 16, 1943. Eight months later Roy was KIA, piloting a B17 over Vechta Germany during WWII. On March 4, 1949, she married Lieutenant Charles Kenneth McCollum of Santa Maria, California (deceased), after his graduation from Primary Flight Training at Randolph Air Force Base in San Antonio, Texas. Later, August 14, 1970 she married Renae Leon Hickman of Ogden, Utah (deceased). Belva was a life time member of The Church of Jesus Christ of Latter-day Saints. Belva was known for her quiet sensitive demeanor and a woman of many interests and talents. Her greatest joy in life was ballroom dancing at Salt Air and square dancing, after joining, The Ogden Quarter Promenaders Club. She loved music and played the alto clarinet in the high school band. She also mastered the piano and organ, spending many years playing the piano and organ for her wards of the LDS church. Even up to the day she passed, she amazed all with her exceptional memory of family, friends, places and events. She was avid in her love for her country and kept informed about politics of which she would have spirited debates with her sons. Belva is survived by her sons: Gary R. Stephens (Annette) of Layton and Craig W. McCollum of Hooper, grandchildren: Cynthia Wright (Kevin) of Ashburn, VA., Meaja Brock (Jason) of Kaysville, Stacey Roylance (Todd) of Harrisville, Kattie Nipko (Pete) of Warren, Wendi Taylor (Jared) of West Warren, Charles McCollum (Kerry) of Johnstown, CO., Curtis McCollum (Angie) of West Haven; 18 great-grandchildren and three great-great-grandchildren and expecting a great-great-granddaughter in June. Sister: Marilyn (Grow) Flinders (Gerald) of Ontario, OR. She was preceded in death by her sister, Eleanor (Grow) Whitlock and brother, Max Wilton Grow. Graveside services will be held at 11:00 am on Saturday, February 9, 2019, at Leavitt’s Mortuary, 836 36th Street, Ogden, Utah, for those wishing to attend.